WELCOME to 2019, and while the year is still young, the Draft Central coverage is ready to get rolling ahead of the AFL Women’s competition next month. In 2018 we saw our first two-day draft, an inaugural premiership for Dandenong Stingrays in the TAC Cup, and Geelong Falcons take home the first TAC Cup Girls premiership that required a Grand Final. Mature-agers got their chance in this year’s draft, while North Adelaide and Southport both survived controversies in their flag tilts to break droughts. 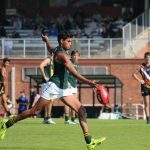 It was announced that Tasmania will return to the TAC Cup in 2019 as well as featuring the northern academies, with the whole competition receiving an overhaul. AFL Women’s Under 18 Championships. Throughout the year we will look over more female competitions in South Australia and Western Australia, as well as our weekly coverage across the northern states and Tasmania. Later in the year we will cover the Under 16 Championships and V/Line Cup which are the great development pathways through to the elite level. You might see the website undergo some changes over the summer, and we will be looking to make improvements across the board. If you’re interested in other sports, check out our two other Draft Central sites as we turn our attention to Basketball Draft Central and Netball Draft Central in 2019, further growing the brand. As always, we are keen to have passionate writers on board, so if you are keen to write about the up-and-coming talent in any of the three sports, send an email to our Recruitment Officer, Taylah Melki at taylah@adzeemedia.com. GRAND Finalists were decided, premierships determined, and controversy reigned supreme in a highly memorable weekend of football. Given the results from the week before, it was no surprise to see Dandenong Stingrays and Oakleigh Chargers emerge as the two grand finalists for 2018. The Stingrays belted the Greater Western Victoria (GWV) Rebels by 110 points, then knocked off Sandringham Dragons by seven goals in the finals series, while the Oakleigh Chargers made light work of both Western Jets (120 points) and Gippsland Power (93 points) to hold a mind-boggling 101-point average winning margin in their past three games. It is hard to imagine the side with just one loss for the season – and that being a six-point defeat – might head into the decider as underdogs, but the Chargers form has been so strong, it will be interesting to see how much pressure the Stingrays can put on them. Hopefully it is a belter of a game. Geelong’s Victorian Football League (VFL) Women’s side only just made it into the finals with a round to go, having stiff competition from Darebin Falcons in the run home, but they made the most of their finals series, with terrific wins over the top two teams heading into the final round in Northern Territory (NT) Thunder and Collingwood. The Magpies were bundled out in straight sets after losing to Hawthorn in the semi-final, and then Geelong in the preliminary final on the weekend. Now the rivalry between Geelong and Hawthorn will reignite in the VFL Women’s with certainly no love lost between the two supporter bases. It was the potential preliminary final that practically everyone wanted to see – the two biggest supporter based AFL clubs in Collingwood and Richmond facing off under lights. The Tigers deservedly go in as strong favourites, but with the game sold out within an hour to anyone not holding a Melbourne Cricket Club (MCC) or AFL membership – and no general admission tickets available – the MCG will be rocking on Friday night with likely the largest crowd for a preliminary final on record. Richmond has beaten Collingwood both times this season, but the Magpies have pushed them for three quarters despite sustaining two injuries early in the games. Everyone wants an absolute cracker, so hopefully that is how it turns out. It is hard to believe in this day and age teams can make the mistake of having 19 men on the field, but that is exactly what happened, not once, but twice on the weekend. It was not in a local bush league, but in two important state league knockout finals. 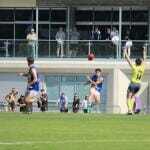 Southport was found to have 19 men on the field in the North East Australian Football League (NEAFL) Grand Final against Sydney Swans reserves, and even got done after a headcount. But rather than wipe their score – as is an option – the Sharks were that far ahead it was deemed that nineteenth man had no bearing on the outcome. However, it was much trickier in the South Australian National Football League (SANFL), when North Adelaide came back from 47 points down to run over the top of Woodville West Torrens in the preliminary final. The Roosters had a nineteenth man on the field for five minutes when they booted 1.2, and the final result? North Adelaide won by five points. In the end, it went to a tribunal hearing, and it was decided the result would stand, but North Adelaide would be fined $10,000 and docked four premiership points for the start of next season. It will be interesting to see how the grand final plays out, with Norwood the side awaiting the Roosters in the Grand Final. North Launceston backed up its terrific regular season form with a five-goal win over Lauderdale in the Tasmanian State League (TSL) Grand Final on the weekend. The Bombers finished five games clear on top of the table, and were red-hot favourites going into the clash, but had to overcome an early challenge from their opponents to get the job done. North Launceston lead by just one point at half-time, before piling on four goals to one in the second half – albeit with some horrendous inaccuracy – 13 behinds. It was enough to get the job done, however as North Melbourne Next Generation Academy player, Tarryn Thomas booted two of his side’s seven goals – and took a massive hanger in the goalsquare – and was named in the best in a strong performance in the red and black. WE are down to the final four TAC Cup sides for season 2018, with Dandenong Stingrays taking on Sandringham Dragons, and Gippsland Power facing Oakleigh Chargers to determine the two, 2018 Grand Finalists. In the first of two preliminary finals, we take a look at the minor premiers, Dandenong Stingrays, taking on the fourth placed Sandringham Dragons. 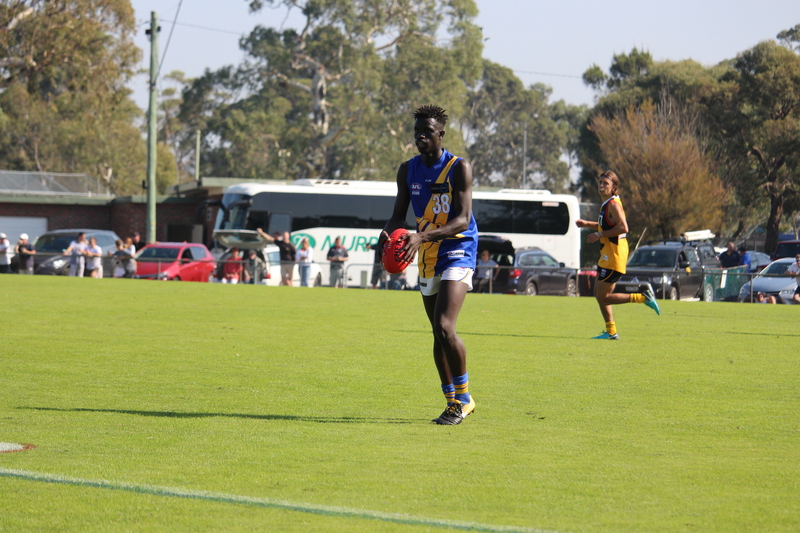 Last weekend, the Stingrays were on another level compared to the Greater Western Victoria (GWV) Rebels, thumping them by 110 points, while the Dragons proved too good for the Murray Bushrangers in a 43-point win. 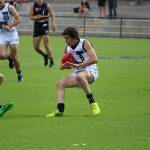 In the final round of the TAC Cup season, Dandenong Stingrays ensured the Dragons had a nervous wait across the weekend, with a top four spot on the line. Sandringham luckily witnessed Northern Knights upsetting Murray Bushrangers to earn a weekend off. On the day, Sam Sturt and Finlay Bayne both booted three goals, while Matthew Cottrell claimed best on ground for the Stingrays. For the Dragons, Angus Hanrahan was the only multiple goal kicker with two majors, while James Rendell and Liam Stocker were impressive – Stocker picking up the three votes in the match despite the 47-point loss. The big key in the game is which side can win the ball at the coal face and get the ball down to their key forwards and crumbers. Both sides have good firepower inside 50, and the clearances will be an area to watch with the teams having strong contested ball winners. Looking at the starting midfields, there is not much to split them with clearances and contested possessions practically even. Dandenong’s starting three midfielders lay more tackles, with Toby Bedford also spending time up forward and adding pressure up there. WHY THE TEAMS WILL WIN? Dandenong: The best team all year, depth that is envious of any other side and equal to that of fellow challenger, Oakleigh. They seem to have winners across all thirds of the ground and just made the Rebels look silly last week. A last round win against the Dragons will have the Stingrays’ confidence high to repeat the effort again. The Stingrays love a scrap and will be keen to beat the Dragons at the contest and use their bigger bodies to extract the ball and pump it long. Sandringham: Any side with Ben King inside 50 is a threat, and the Stingrays will not only look to nullify him, but just cut off the delivery to him, full stop. But if the Dragons midfielders can get on top on the inside, then the Stingrays defence could be under siege. They also possess the ball really well and will look to play the ball on their terms with slick, short ball use. 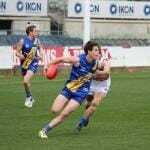 Gippsland Power managed to get over the highly dangerous Geelong Falcons with a 35-point victory at Ikon Park. They took four quarters to do it – leading by just eight points at the final break before a five-goal final term saw the second placed Power storm away with the game. The Chargers had a much easier game against Western Jets, shaking off an early challenge by the Jets to post a massive 120-point victory to earn a place in the preliminary final. Not much can be read into it given Oakleigh was missing the majority of its best 22, but Gippsland got the job done in a thriller at Warrawee Park with a Noah Gown goal in the dying seconds sealing a great comeback win. Noah Answerth bombed through a goal on the siren, but not release the ball until a second too late. The result left Oakleigh’s top four hopes in the lurch, but an impressive win over Sandringham Dragons and a 15-goal rout of the GWV Rebels put any threat of missing the week off to bed pretty soon. Daniel Scala booted four goals for the Chargers, while Trent Bianco and Sam Harte were named Oakleigh’s best in the loss. For Gippsland, Gown, Harrison Pepper and Sam Flanders all booted two goals, while Gown and Boadie Motton were named in the Power’s best. Both Gippsland and Oakleigh head into the clash as sides that have dynamic forward lines. Gippsland has more structure to it, with two traditional talls in Gown and Josh Smith, while Oakleigh relies on a number of medium-talls and smalls rather than a key position monster. Last week, Dylan Williams booted six goals, while Atu Bosenavulagi, Jake Gasper, Charlie Whitehead and Jay Robertson all contributed multiple goals, while Gippsland had 10 individual goal kickers, with their club leading scorer Gown, contributing just the one. As you will see from the below total, the top six goal kickers playing in the match provide plenty of options for midfielders to kick to, with some of the forwards spending time through the middle. 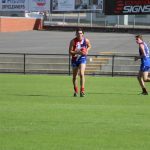 Oakleigh’s six will largely form the six-man forward line against the Power, while Gippsland’s will see a number of their players begin in the midfield and rest forward. Gippsland: The Power play an exciting brand of football that blends both speed and pressure which is really eye-catching, and will look to match Oakleigh at its own game of doing the same. The Power must simply bring the heat to the contest, because letting Oakleigh have too much time and space results in undesirable results for the team doing so. Oakleigh: You cannot read into the season of the Chargers despite still finishing third. They are right up there with Dandenong in terms of premiership favourites and have stamped their authority with 90 and 120-point wins in their past two outings. They have ridiculous amounts of midfield depth and big bodies to control the inside while using their runners on the outside. INDIVIDUAL and team success, and some emotional moments highlighted what was a huge round of finals football, both on and off the field. It was the Victorian Football League (VFL)’s night of nights, and it had a definitive Williamstown flavour. Former Murray Bushrangers midfielder, now Seagull, Michael Gibbons shared the J.J Liston Medal with Richmond’s Anthony Miles, while fellow Seagull, Jess Duffin took out the newly named Lambert-Pearce medal for the VFL Women’s best and fairest award. Miles did his chances of finding a new AFL home no harm with a top season, while Gibbons has been talked up as a potential draft choice as one of the state leaguers that bottom clubs will have priority access to prior to draft day. Dandenong Stingrays and Oakleigh Chargers are sizing each other up from opposite sides of the finals draw after smashing their respective opponents by triple figures across the weekend. The Stingrays belted the Greater Western Victoria (GWV) Rebels by 110 points on Saturday, before the Chargers went 10 points better with a 20-goal victory over Western Jets. The two sides face off against Sandringham Dragons and Gippsland Power respectively who are worthy preliminary finalists, but the pair go in as strong favourites considering their remarkable form, particularly the Chargers who have a two-game accumulative winning margin of 210 points. Ladder positions mean very little when it comes to finals and that proved true on the weekend in the VFL Women’s competition. 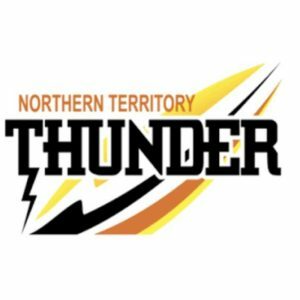 The second placed Hawks upset the top-of-the-table Magpies, while Geelong toppled pre-season premiership favourite Northern Territory (NT) Thunder. Now with no turning back, Collingwood will have to knock off Geelong to earn the right at another crack at the Hawks, and avoid the dreaded straight-sets exit. It has been a long time between drinks – 12 years to be exact – but the Demons fans burst into jubilation when their side toppled Geelong with relentless pressure and a four-quarter effort. They booted five goals to zero in the opening term and never let-up to keep the Cats at arms-length, frustrating the likes of Joel Selwood into giving away free kicks on a night that the Geelong faithful would rather forget. But for the long-suffering Demons fans, it was the monkey off the back and they have even started booking plane tickets to Perth for the following week! Not many could even imagine what Collingwood’s Travis Varcoe has had to endure the past fortnight following the tragic passing of his sister, Maggie. But such is the bond at football clubs, Varcoe chose to play in the first final over in Perth and was his sister was honoured by a minute’s silence prior to the National Anthem. Then, a moment that could not have been better even if it had been scripted. The exciting speedster won the ball at half-forward, sprinted inside 50 and nailed a running goal from the boundary line. His teammates came from everywhere and no doubt the whole football world was behind him at that moment. WHEN he missed out on getting the call-up to Vic Metro, Connor Thar was admittedly “pretty shattered”. 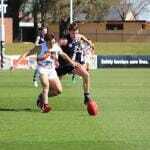 But instead of worry about the things outside of his control, Thar buckled down in the TAC Cup and became the most prominent ball winner in the competition. The Western Jets midfielder has racked up 412 disposals at an average of 25.75 per game, playing every game in 2018 and has been ranked in the top five for clearances, and top 10 for tackles. His final round was quite possibly his best, racking up 32 disposals on his way to the AFL Draft Central TAC Cup Player of the Week award for Round 16. Thar has been lucky enough to have plenty of continuity in his game, playing for Werribee Districts his whole life, joining the Western Jets system as soon as he could, and has been a part of that system ever since. He has been exposed to the first teams in each of his years despite his slight stature (174cm and 69kg at the start of the season). For Thar, he wanted to build his fitness in 2018, while using his smarts around the ground to play the game on his terms. Thar has played predominantly midfield in 2018, reflecting his huge ball-winning numbers, but he has shown the capability to play anywhere on the field. The top-age Jet is level headed and understands the reality of the draft system – with so many players striving to play AFL, you have to stand out and push yourself to the limits. For Thar, he goes out each and every week never losing the faith, as shown in his consistency. As for the Jets, they are headed into a finals series with the Wild Card Round match against the Eastern Ranges this weekend ahead of an elimination final with Oakleigh Chargers, should Western defeat the Ranges. Thar said the team had belief in its system and everyone was on the same page. THREE of the sides that graced MARS Stadium will run out there again with an identical match-up between the Calder Cannons and Geelong Falcons to headline the beginning of the brand new Wild Card Round which takes place over Saturday and Sunday ahead of the Morrish Medal presentation on Sunday night. The Wild Card Round fixtures were released by AFL Victoria this morning. The Falcons won the match between the sides on Saturday and will be keen to repeat the effort when the pair goes head-to-head at the same time this weekend. Following that game, the Greater Western Victoria (GWV) Rebels will get a home game despite finishing ninth, tackling the eighth placed Northern Knights. On Sunday, Western Jets and Eastern Ranges will lock horns at Ikon Park, followed by Murray Bushrangers and Bendigo Pioneers. The Dandenong Stingrays, Gippsland Power, Oakleigh Chargers and Sandringham Dragons have earned the weekend off after finishing top four and automatically qualifying for finals. The Stingrays will take on the winner of the Rebels and Knights; the Power will face the winner of Geelong and Calder; Oakleigh will meet the victor between Western and Eastern; and the winner of Murray and Bendigo will take on Sandringham. EVERYONE loves grabbing the calculator and working out the possible outcomes from final round clashes, so we take a look at the TAC Cup and how each team shapes up with a game to go. We look at the best and worst possible results, as well as the likely result if all the higher ranked sides were to win. What a season. The Stingrays can make a real statement in the final round against Sandringham. Not only will it give them a confidence boost, but also a mental advantage given the teams will likely meet in finals. Lose and the Dragons will remind them of it come finals time if they do meet. Cruising along very nicely, the Power are remarkably flying yet do not have the same plaudits as the other three top four sides. They would be expected to take care of business against Eastern and will be keen to finish strongly – but it will not matter as they have already locked up second spot. They did lose to the Pioneers earlier in the season, so will be wary not to lose this game. Their best is good enough, but can they topple the Stingrays? Dandenong play a different brand of football to last week’s opponent, Oakleigh, but that brand has worked all year long, so the Dragons will need to be at their best if they are any chance of winning. The message during the week will be that top four is in their own hands and a win will result in a week off. Could get a reprieve if either the Rebels or Knights upset Oakleigh or Murray respectively. If Oakleigh play the same way they did in the wet against Sandringham, then good luck Rebels. They looked every bit a premiership contender and should lock up a top four spot with a win here. The Chargers will most likely take third spot if the Stingrays topple the Dragons. But cannot afford to drop the game against the Rebels either with the Bushrangers hot on their tail and able to pounce the next day. Unlike the other two teams battling for a top four spot, they not only need to win, but have to rely on one of the others to lose. As the last team to play out of the three sides, the Bushrangers will know what they are playing for heading into the match. They will hope the Stingrays can knock off the Dragons, which is the most likely scenario, because if last week’s Oakleigh performance is anything to go by, it is hard to see the Rebels toppling the Chargers. A win is crucial for the Jets, because victory means they guarantee a clash with Eastern Ranges next week. We saw the Falcons push the Stingrays all the way last week and the Jets would be keen to avoid them at all costs if they are up and firing. Hard to see the Jets losing to the Pioneers, so this is more than likely the early taste of the Wildcard Round clash between the Cannons and Falcons a week later. If the Pioneers do shock the Jets, they can move to sixth and face the Pioneers instead (or Eastern if they also upset the Power). Order does not matter, as the Knights will face the Rebels in the Wildcard Round. They can influence Murray’s top four aspirations with a win, and will have the Dragons faithful barracking for them if Sandringham loses to Dandenong. For the Rebels the order matters little as they look set to face Northern in the Wildcard Round – and at home too. If Sandringham loses to Dandenong, all Dragons will keep a close eye on this game as they need the Rebels (or Knights) to win to keep a top four spot. Locked and loaded for tenth the Falcons cannot move up or down. Ironically though they will get a nice rehearsal against the Cannons who seem destined to be their Wildcard Round opponent unless Bendigo cause a boilover against Western. While many might not see the difference between eleventh and twelfth on the table, aside from avoiding the wooden spoon, it means they will face Western Jets – still a tough task regardless – rather than a potential Sandringham Dragons. Winning would be massive for the Pioneers, especially if it potentially means facing the Jets a week later if the Falcons topple the Cannons. Otherwise a win means they face Calder. In all likelihood they will meet Sandringham in the Wildcard Round, however could face Oakleigh or Murray depending on results. WESTERN Jets have had an up-and-down season to date, but still loom as a dark horse in the finals series. They sit sixth, and while they would need both Murray Bushrangers and Oakleigh Chargers to lose both games to finish top four, they have enough about them to secure a top six spot and play a bottom two team in the Wildcard Round. The Jets have looked very good at times, and realistically, the blowout 20-goal loss to Dandenong Stingrays makes their points against look worse than it actually is. Defensively they stand up well, and they rate around where they sit offensively, which makes them unpredictable and good enough to cause headaches for the top sides. Five players received combine invitations, with the speedy Daly Andrews and Stefan Radovanovic, intercept machine Buku Khamis, and the X-factor in Zak Butters, all earning the right to test at the National and State combines. Along with the quartet, they have consistent midfielders Connor Thar, Jaden Rice and Jack Watkins roaming through the midfield, talls Aaron Clarke and Hamish Murphy up either end, and a host of bottom-agers who have shown enough to suggest they will have plenty of draft potential next year. Steven Kyriazis, Lucas Rocci and Emerson Jeka provide a forward presence, while Darcy Cassar and Josh Honey link between midfield and forward.